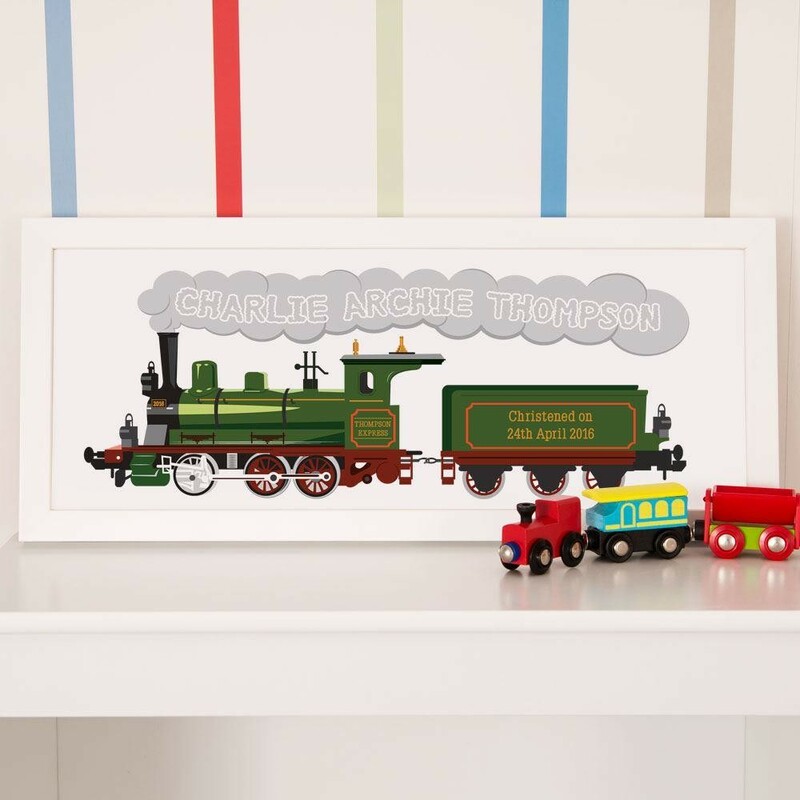 Surprise a baby boy on his special day with our beautiful personalised steam train print. It's an ideal gift for his Christening, Baptism, Dedication, or Naming Day. 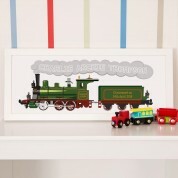 The timeless design is of a classic emerald green steam train – perfect for any little boy who loves transport! 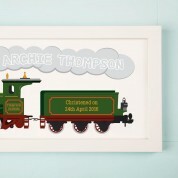 The smoke at the top is personalised with his name in a cloudy font, and the train carriages are customised too. Featuring the year under the funnel, your own choice of train name at the driver's carriage, and the special date being pulled along at the back. 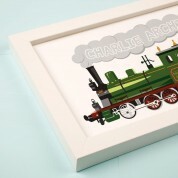 This lovely memento comes complete with a white frame, and includes a hanging kit.